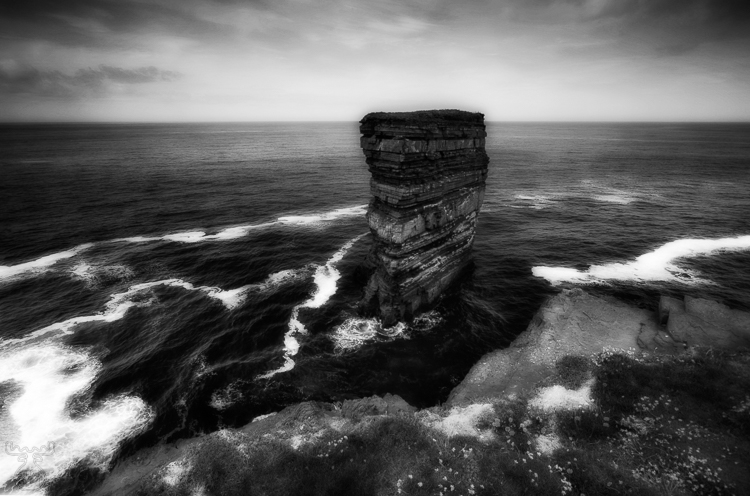 Downpatrick Head on the Northern coast of county Mayo has - as many of Ireland's sights - a legend connected to it: St.Patrick had allured the devil to Downpatrick's Head. When the devil had entered the head of the cliff, which was still connected to the mainland at that time, St.Patrick broke the bridge and the devil since then was trapped on "Dun Briste", as the rock column is named. In black and white this impressive monument fitted perfectly to my mystic "Ireland in BW" portfolio.